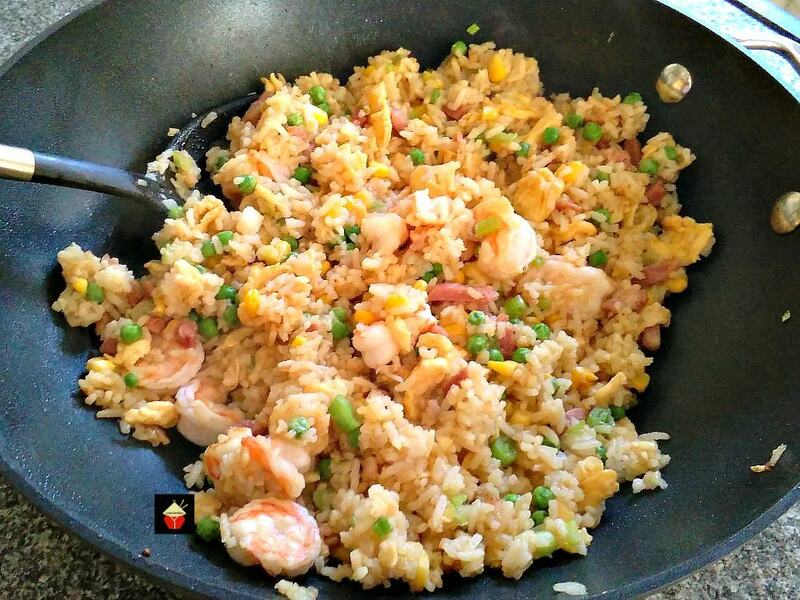 Garlic Shrimp Fried Rice! 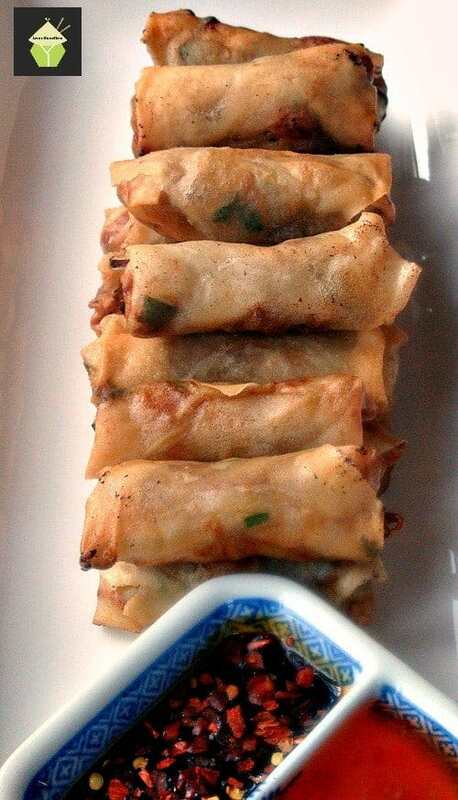 It's quick, easy and of course super tasty Asian starter or main dish! 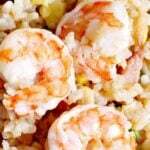 Garlic Shrimp Fried Rice! 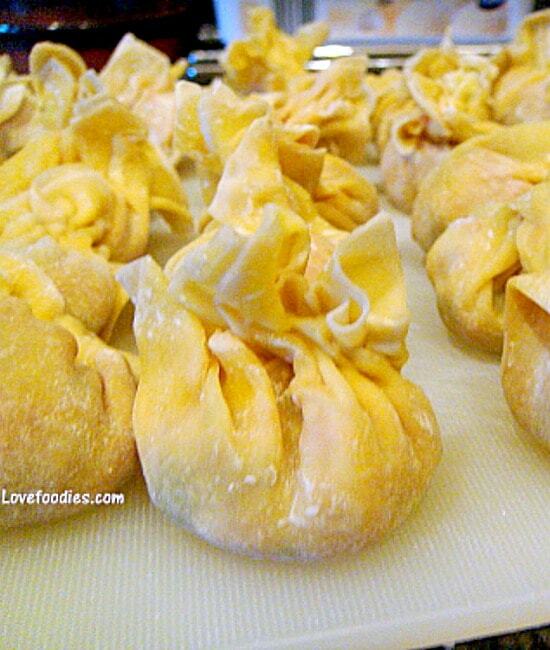 It’s quick, easy and of course super tasty Asian starter or main dish! 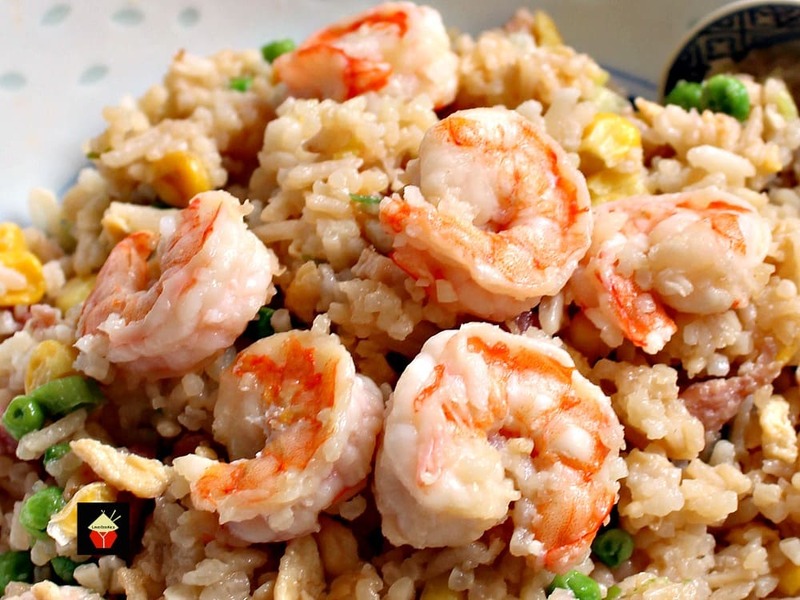 Garlic Shrimp Fried Rice! I often make this recipe because it’s simple, inexpensive, a good way to fill your belly, versatile because you can choose what ingredients you want to add, and it’s also a great dish to put in a food flask if you do outdoor work, or you’re going on a road trip. The ingredients I have used are very flexible. Of course, the garlic and the shrimp are the main ingredients, and you’ll see from the photos I also added some frozen peas and sweetcorn. You can add other vegetables to your liking, for example, green beans, mushrooms, are whatever you have in your fridge! 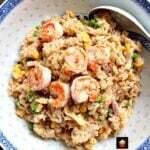 This garlic and shrimp fried rice is also a great recipe for using up leftovers too. I have also added some chopped bacon in the recipe. I think the saltiness and taste of the bacon go really well. 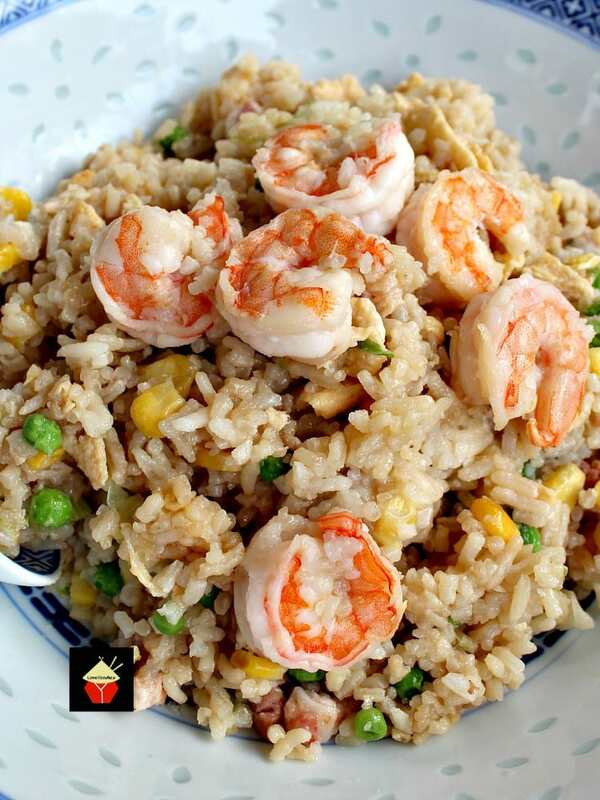 You decide what other things you want to add and please enjoy our Garlic Shrimp Fried Rice! NOTE: The sauce combination I use is not salty, but if you wish for a saltier flavour you can add an extra dash of soy sauce when you have served the dish. It’s always a personal preference as to how much soy sauce you add to a recipe, but I don’t like salty food, so I always add less and then people can help themselves later if they wish. TIP: To work out how much water to add to the rice, put your thumb into the rice, letting it touch the surface of the rice and add the water so the water level should come halfway up to the FIRST crease on the inside of your thumb. Not very scientific I know, but that’s how I was taught and it works every time! 6. 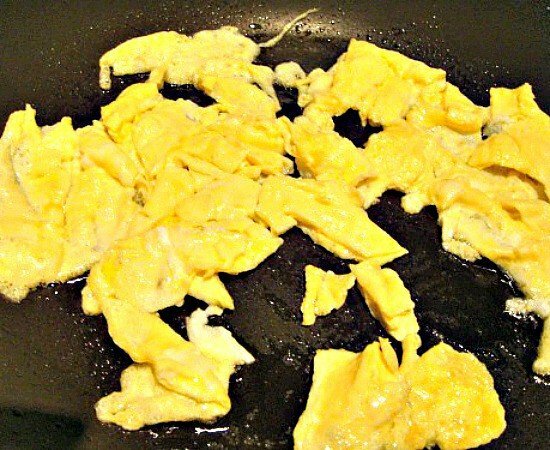 When it is nearly set, use your spatula and slice the egg into bite-sized pieces. See photos. 8. Using the same wok from the egg (no need to wash it) on a medium heat, add the rice/ Using your spatula, break up the rice and spread it in the wok. Then add the garlic, sweetcorn, bacon and peas. Mix everything very well until hot. Add any other ingredients you have chosen, such as ham, chopped chicken, beans etc. 9. Add the sauce, EXCEPT for the Chinese Rice Wine, and stir like crazy so the bottom doesn’t burn! Then add the shrimp and toss through until you see it turns pink in colour. 10. 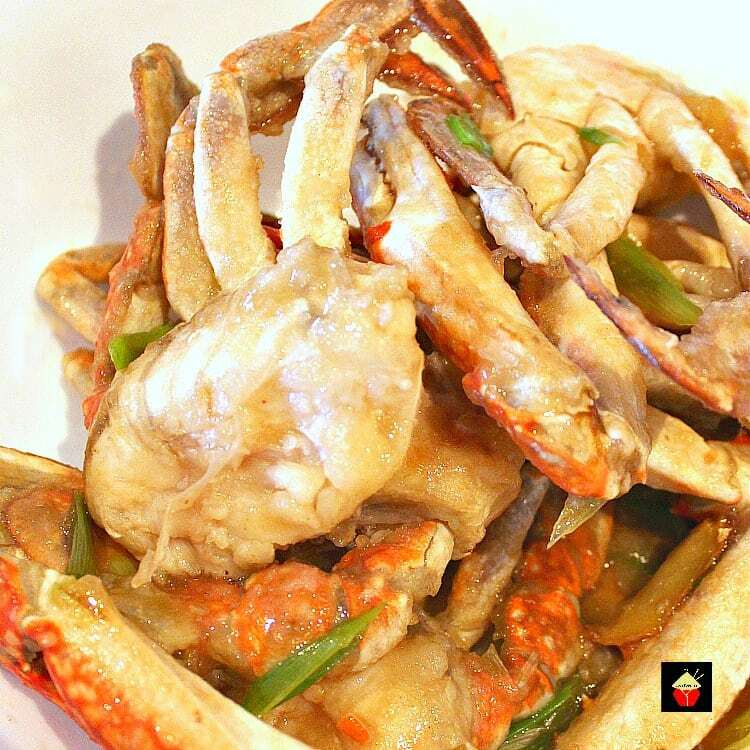 When everything is all combined with the sauce, add the egg, stir and then add the Chinese Wine and enjoy the smells! Combine well, making sure the heat is on high to burn off the alcohol from the wine. 11. Serve! You may wish to add extra soy sauce to taste as I don’t use much in the recipe. If you like salty, then add more when you serve, or let the diners add extra themselves. Enjoy! And there you have our Garlic Shrimp Fried Rice. Yummy! 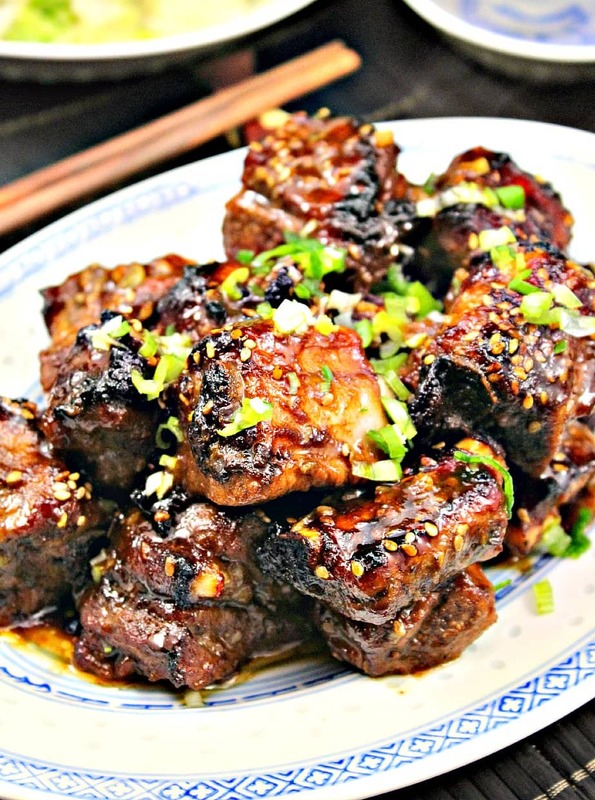 Here’s a few more of our popular Chinese recipes you can make! 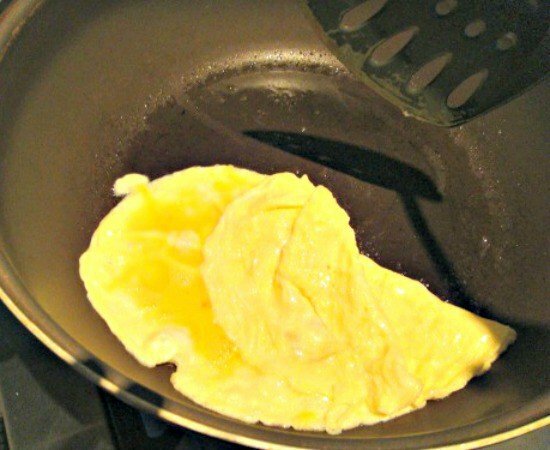 TIP: Don't overcook the egg at this stage or it will end up rubbery and chewy. 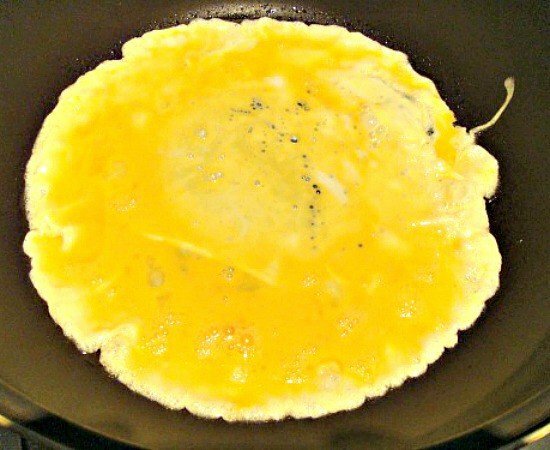 The egg will continue to cook once you add it to the rice at the end. Using the same wok from the egg (no need to wash it) on a medium heat, add the rice/ Using your spatula, break up the rice and spread it in the wok. Then add the garlic, sweetcorn, bacon and peas. Mix everything very well until hot. 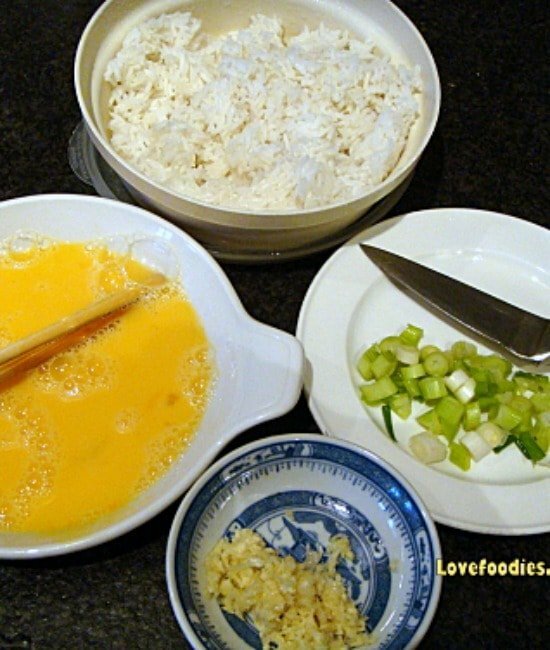 Add the sauce, EXCEPT for the Chinese Rice Wine, and stir like crazy so the bottom doesn't burn! Then add the shrimp and toss through until you see it turns pink in colour. When everything is all combined with the sauce, add the egg, stir and then add the Chinese Wine and enjoy the smells! Combine well, making sure the heat is on high to burn off the alcohol from the wine. Serve! You may wish to add extra soy sauce to taste as I don't use much in the recipe. If you like salty, then add more when you serve, or let the diners add extra themselves. Enjoy! And there you have our Garlic Shrimp Fried Rice. Yummy!